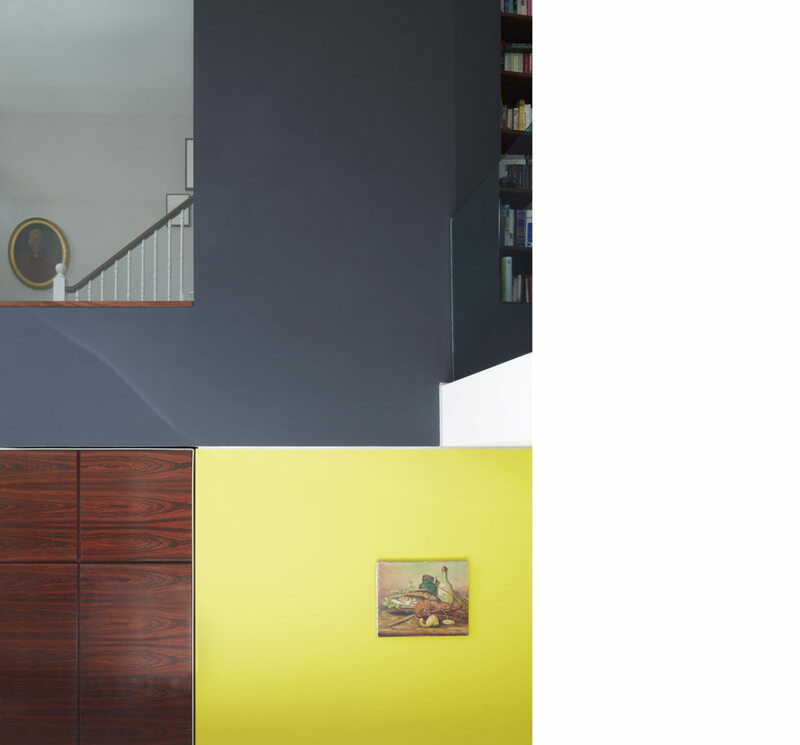 This project, shortlisted for the 2014 Manser Medal, is the conversion of a derelict nineteenth century house in north London to a home and workspace for a client engaged in photography and design publishing. 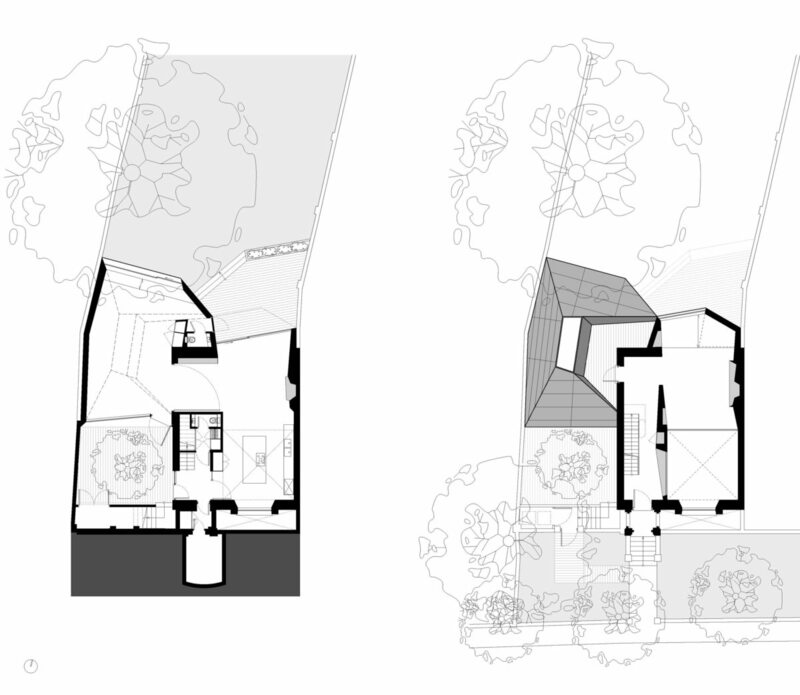 The first volume wraps around the brick walls at the side and rear of the house to create a home office, while the second volume extends out at the back to increase the size of the first floor living room. 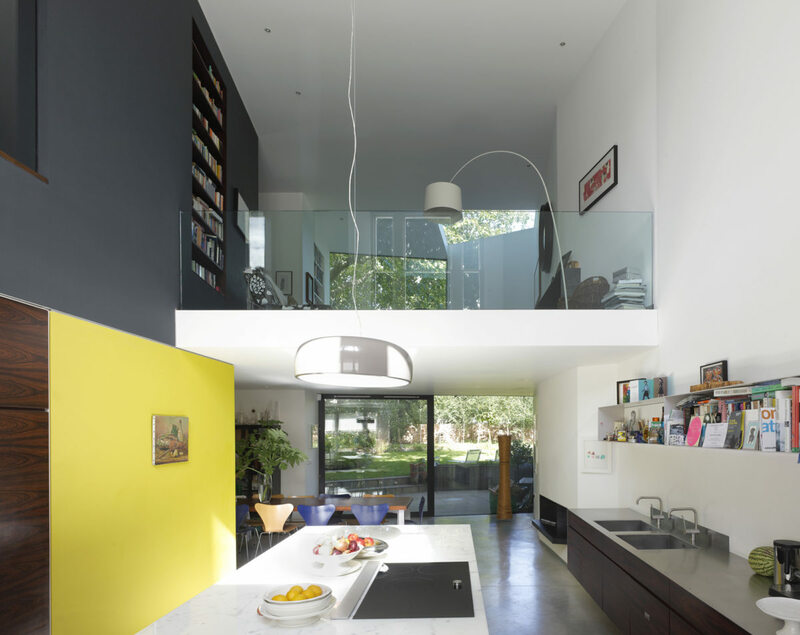 The extensions were designed as a series of large apertures framed and connected by large trapezoidal planes. 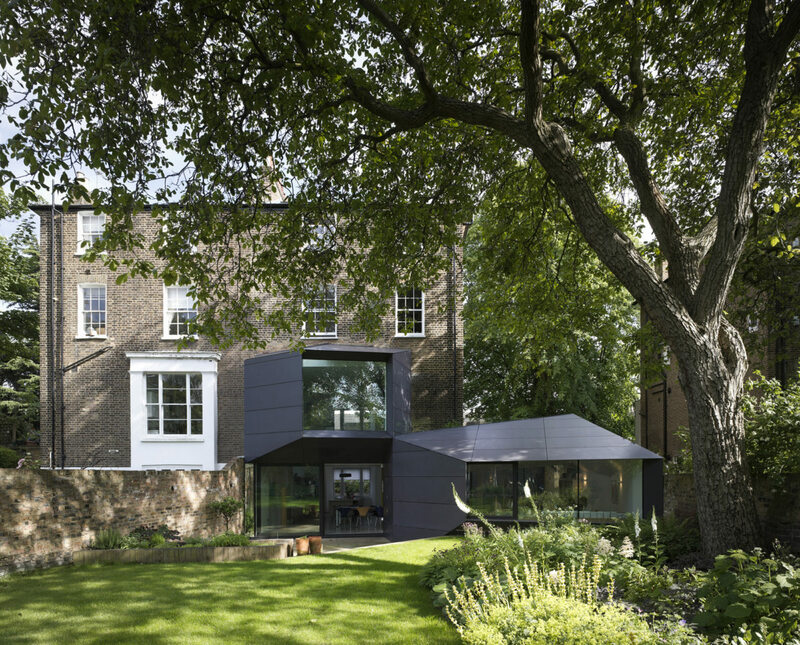 These openings capture light throughout the day, draw the garden into the house, and frame precise views of a spectacular walnut tree. 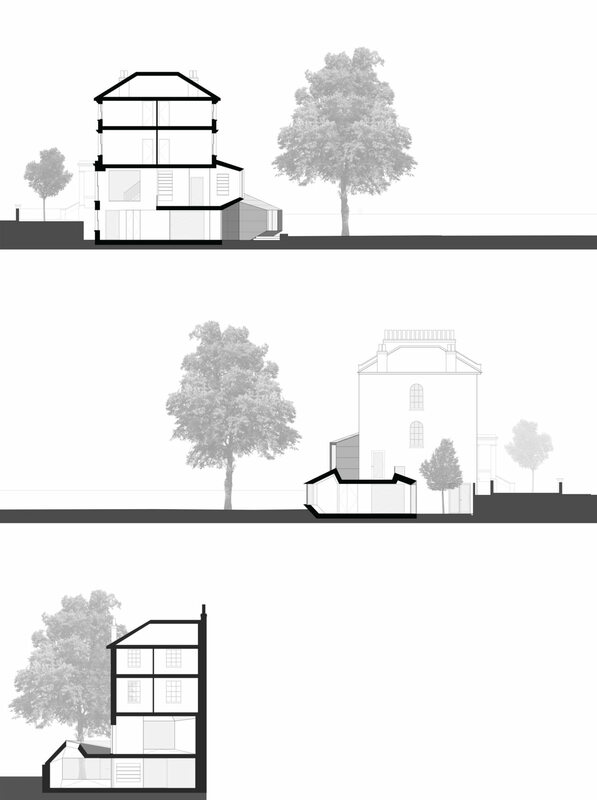 Each plane of the scheme is either fully glazed or fully solid, to create an architecture without mass and weight. Where the side and rear projections converge, seven surfaces come together at one point. 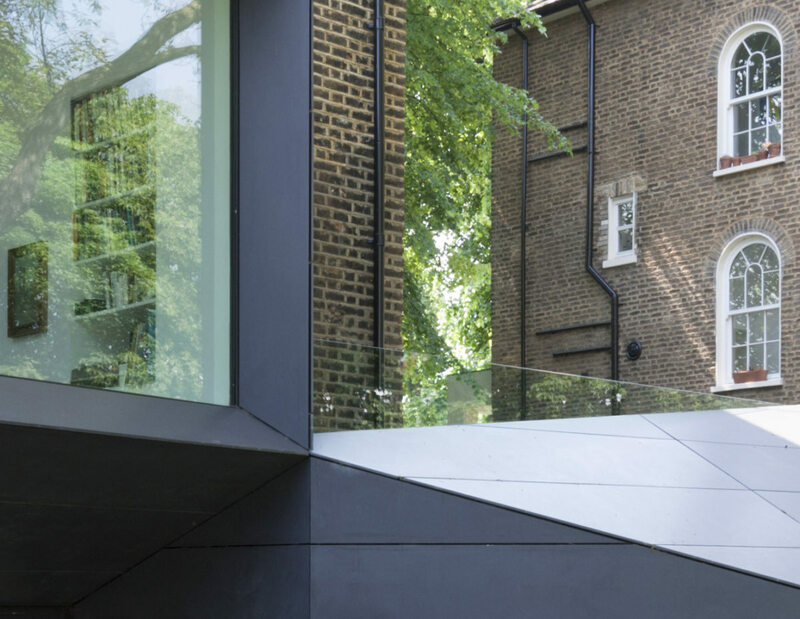 To achieve the low profile of the ten-sided trapezoidal office extension, ABA lowered the existing basement and excavated a new sunken courtyard to form a street-facing office entrance. 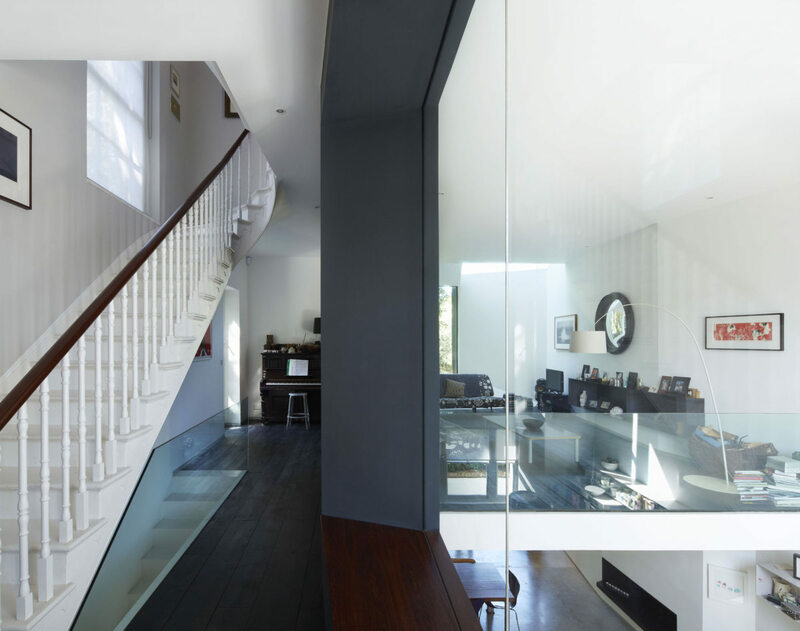 This new lower ground floor level connects workspace and house. 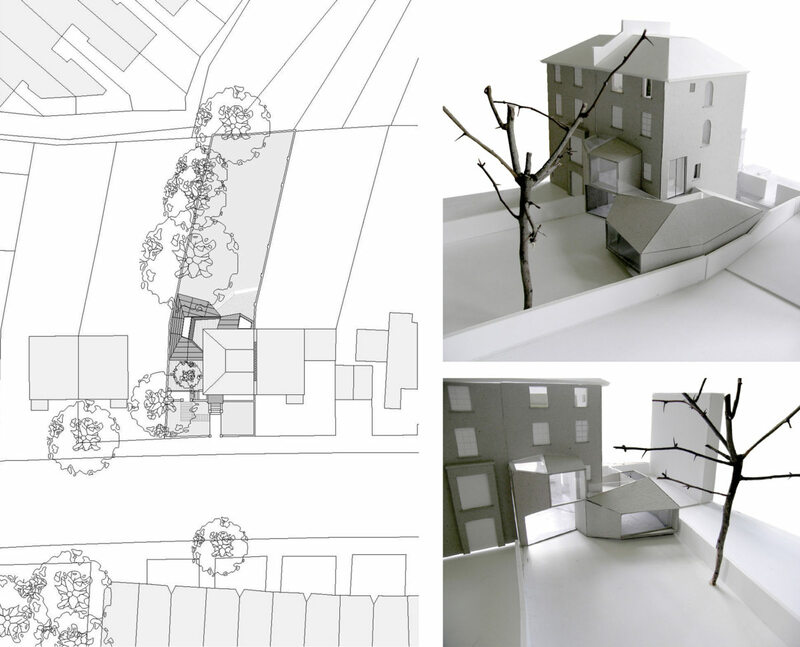 On the garden side, the building rests lightly on the ground with undercut walls to avoid the walnut tree’s roots. 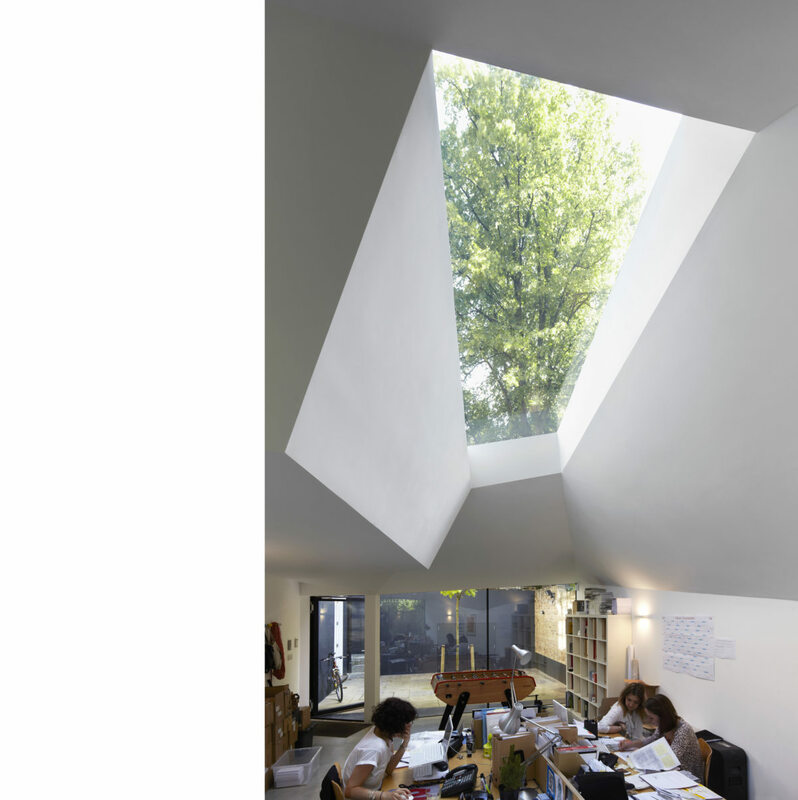 Inside, the rooflight geometry funnels light into the workspace throughout the day. 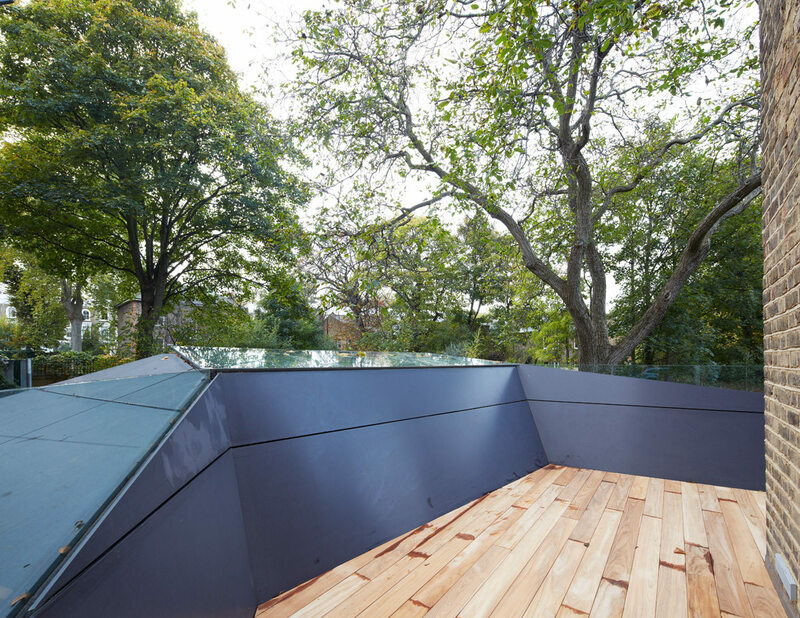 A roof terrace cuts into one of the roof, generating a light reflecting plane and heightening the sense of suspended surfaces. 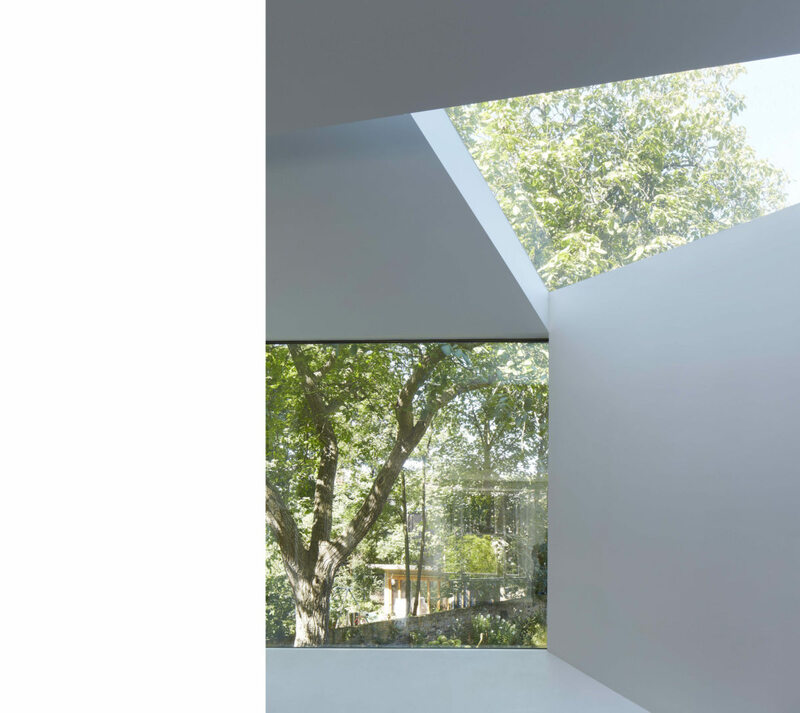 The living room’s projecting bay window focusses on the walnut tree like a picture frame. 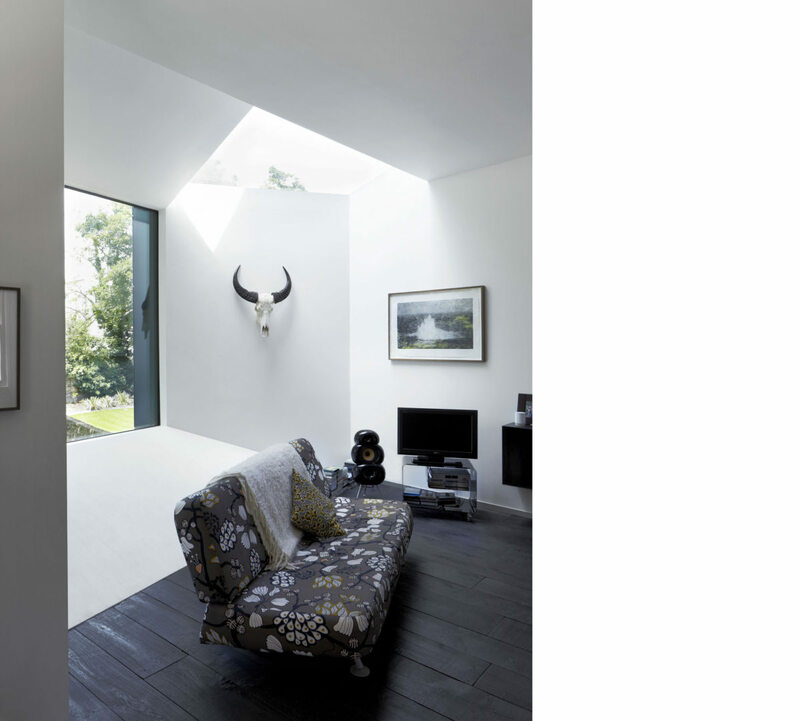 It also pulls light from above into the living room through a segment of its roof. 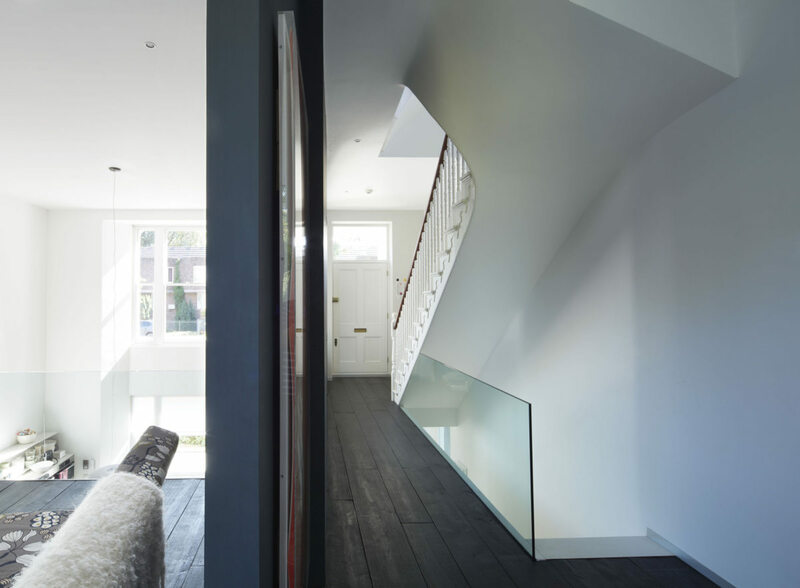 Beneath the bay window a new wall of glass slides open to link the dining room with a small patio outside. 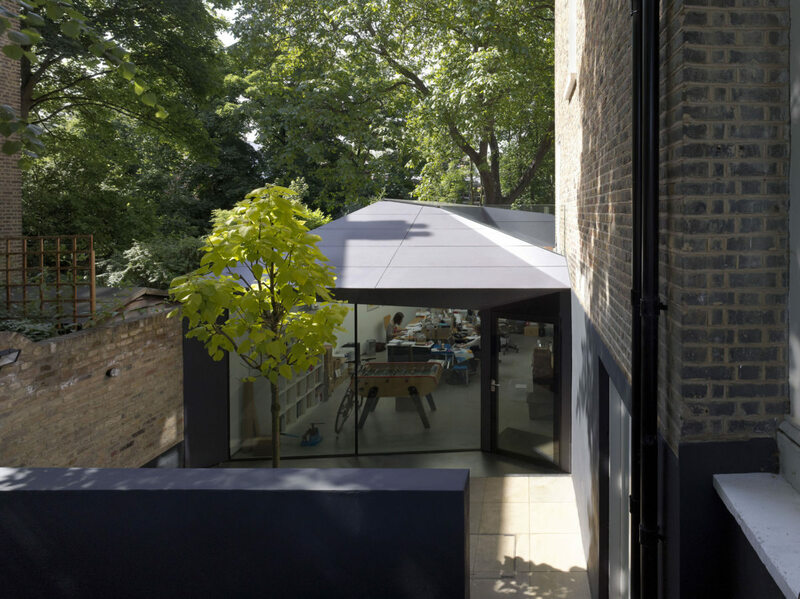 From here a concealed door creates a second entrance to the office. 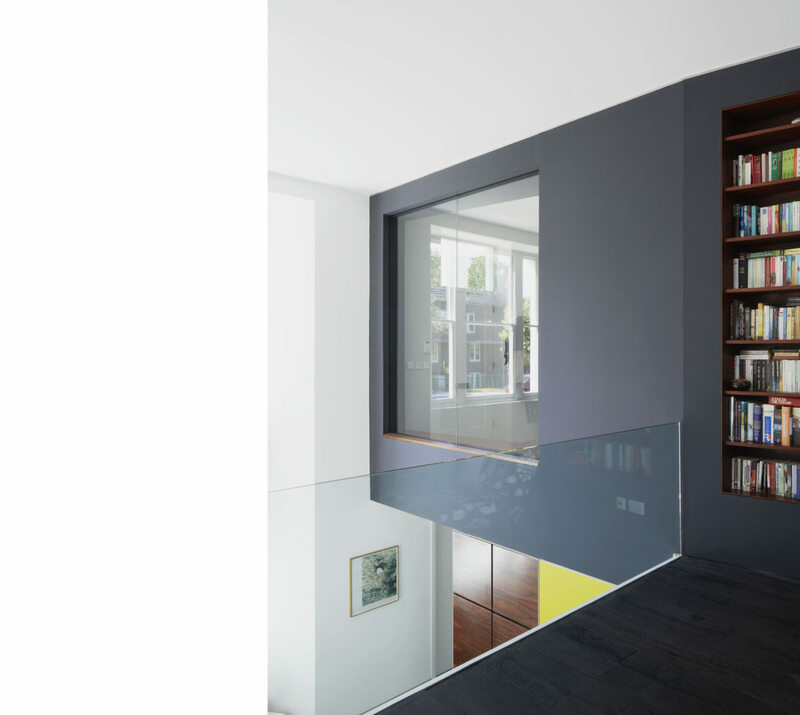 Where the original living room once was, ABA has opened a new double height volume. 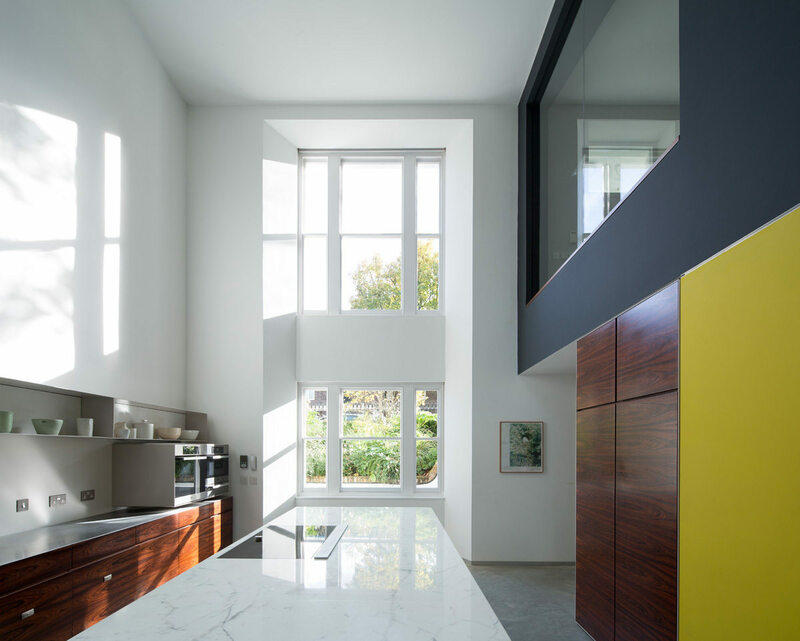 This space draws south light deep into the house, and like a ‘great hall’, creates a powerful visual connection between the original upper ground floor entrance hall and kitchen/dining space. Where the side and rear extensions merge, seven surfaces come together at one point. 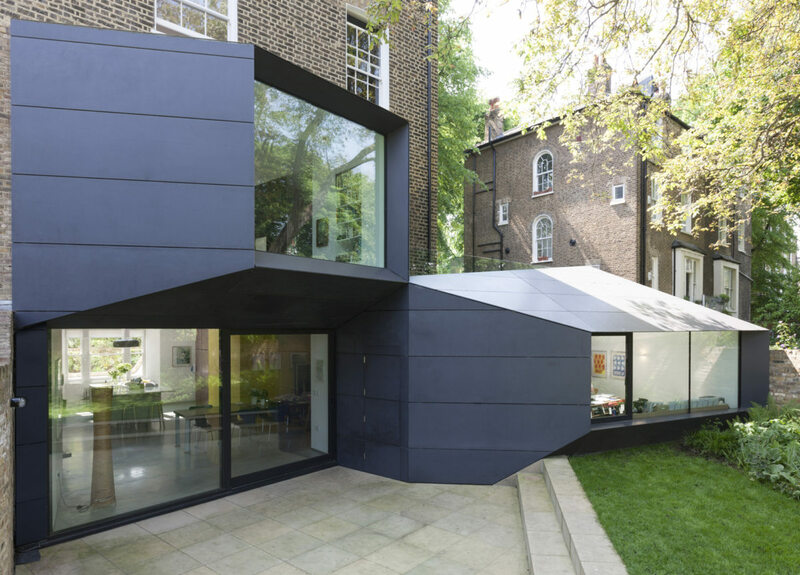 The complexity of this building geometry required a flat rain screen cladding material which was dimensionally stable and which could be cut to precise shapes. As a result the form is clad in Corian panels. Rainwater downpipes and gutters are concealed behind the rainscreen. 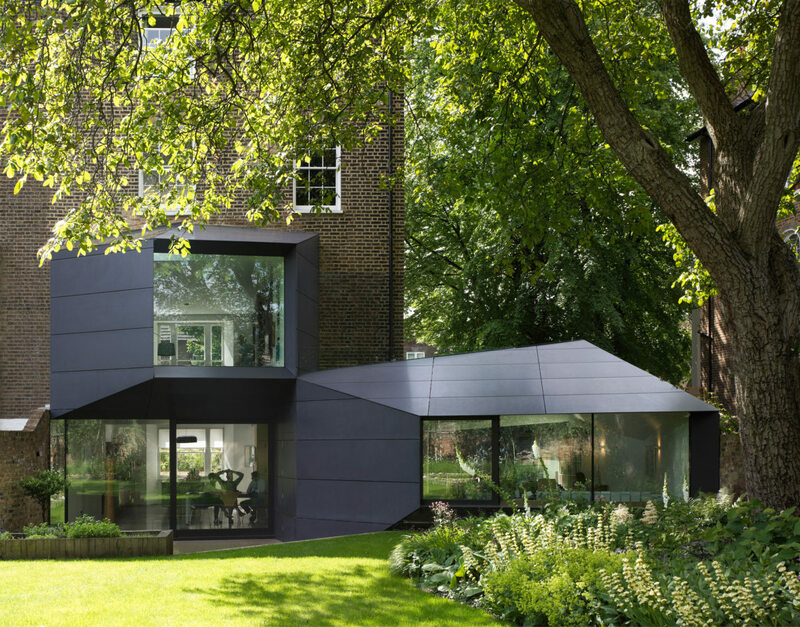 The folded geometries become interior surfaces punctuated by steel fireplaces and ‘inhabited walls’; a variety of framed settings for modern family life.